I am a huge lover of salt. I feel a meal can be truly disappointing just because of the absence of enough salt. I believe this so much that I carry around a couple of salt sachets in my wallet to remedy such meals I may encounter! So when I heard of a pop up store that had salt in the in the title I was keen to check it out. I made a quick pop in today right before it closed and was surprised to find a big sweet selection including different types of nougat and (overpriced) chocolate bars. As I haven't been to the Alexandria store, I found the selection of product was pretty decent and was pleasantly surprised to find the savoury selections were fairly priced. 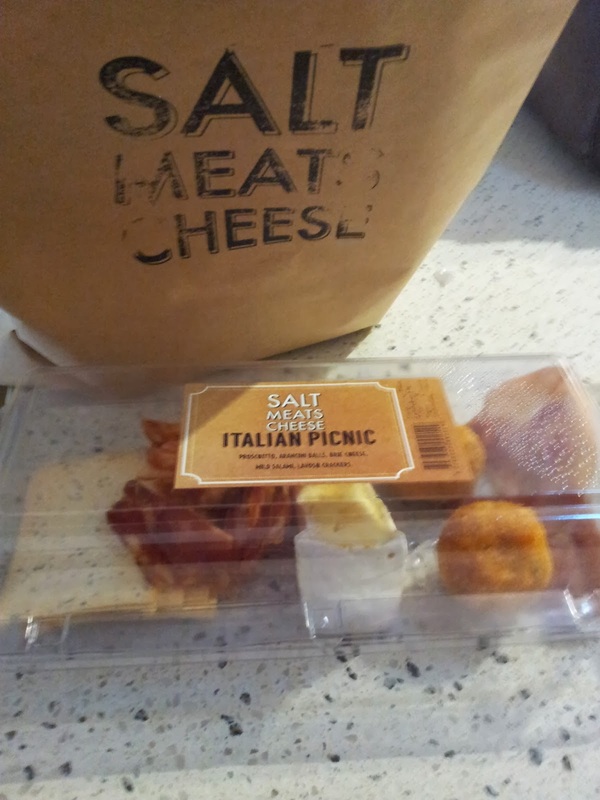 I didn't end up buying any salt but picked up the pictured Italian Picnic pack ($10) and pack of gnocci (a bargain at $2). I was very eager to get home and try out the pack, remembering all the delicious meats and cheese I had while in Italy. And although the prosciutto and salami were nice and far better than supermarket quality, it still didn't hit Italy standard. The pack also included brie (good), arancini balls (tasty once heated) and crackers. I saw few a tempting looking sandwiches which will bring me back another time. Overall, I would say if you are a foodie and are in the area, then check it out. They will most likely stock something that will excite your tastebuds.